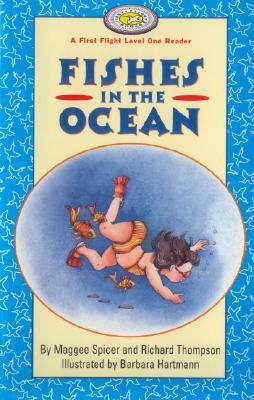 Fishes in the Ocean (written by Richard Thompson and Maggee Spicer, with illustrations by Barbara Hartmann) is a Level One First Flight Reader for the very young emergent reader. From first thing in the morning to the last kiss goodnight, this is a playful counting book that follows three children through their day of play. The rhythmic text makes this the perfect choice for parents to read aloud.